California is the least-informed state in the union regarding the violation of Constitutional rights. It's time for California to FIGHT BACK. 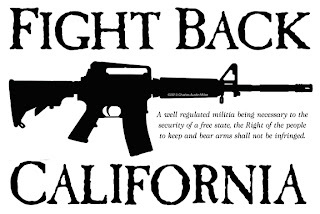 Proudly show your support for the Second Amendment and American Liberty with FIGHT BACK California rebellion ware! 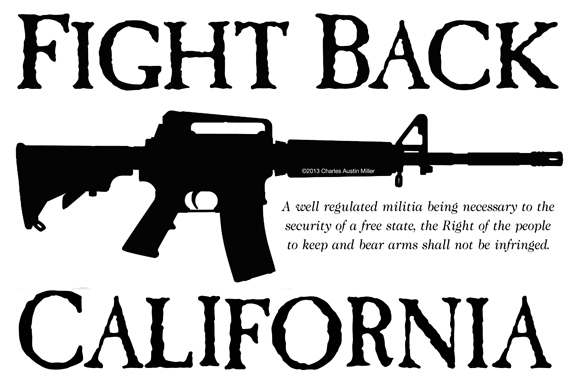 FIGHT BACK CALIFORNIA t-shirts, mugs, and rebellion wares!